Taking a trip to the red centre, the spiritual heart of Australia and home of the mighty Uluru, (Ayers Rock), is beyond amazing. I’ve been lucky enough to go there twice, and if you’re in Australia, it’s a trip well worth making even if it’s not a cheap one. Whether you fly, drive or book a tour; here’s how to save money and make memories that will last a lifetime. Best place for sunset and sunrise? If you’re only going to be there once; you don’t want to miss the sunset or find you’re fighting for camera space. Lots of tour companies run trips but check where they drop you to watch this magical moment as some ‘viewing’ areas can get pretty crowded with coach loads that can somewhat spoil the moment. Check the viewing spots and worth checking reviews on places like TripAdvisor from fellow travellers for their experience and recommendations. 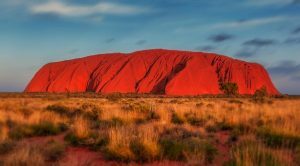 One thing you can’t save on is the ticket price into the Uluru-Kata Tjuta National Park You’ll pay $25 Australian dollars each but your ticket lasts three days. And for an alternative view, take a walk to Imalung Lookout. It’s in the centre of Ayers Rock Resort, a short walk from most of the apartments, and because it’s outside the popular park viewing areas you may get the view all to yourself. AAT Kings do the big coach trip thing to Uluru. They come with fancy prices and within seconds of the sun going down most are revving up the engines and heading off, whereas smaller companies like the Rock Tour that I went on, hang around, cook dinner from the back of the truck and don’t leave until the stars are out. Once you hit Ayers Rock Resort; there’s no shortage of restaurants but they’re not cheap so save money and stock up on snacks at its one and only supermarket. One company owns all the accommodation which means it can be tough to find a cheap deal. Go for Ayers Rock Campground to save on cash or book a dorm bed at the Outback Pioneer Hotel & Lodge for around £30 a night. Means big savings as double rooms in the ‘hotel’ part go for close to £200 a night, and let’s face it, if you’re going to be up in the wee small hours to see the sunrise, to my mind there’s no point paying for five star luxury. But for the ultimate sleepover, nothing beats a swag under the stars for that a once in a lifetime experience. For more money saving advice why not subscribe to my email newsletter. Airport Meet & Greet? Will your insurer pay up if you hand over your keys? Check your insurance small print before you hand over your keys or you may not be covered if you car comes back damaged. Airport ‘Meet & Greet’ services are becoming more popular and not just for the super rich. 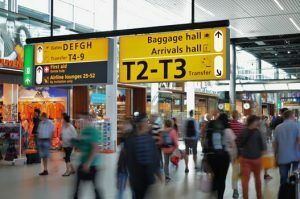 Paying a little bit extra for the luxury of being able to bowl up at the airport, hand over the keys and not worry about the hassle of playing ‘hunt the car park space’ can mean a stress free start to your summer holiday. But 50% of motor policies won’t pay out if you hand over your keys to a valet parking service. So if your car gets damaged and the valet parking company won’t play ball; you can’t fall back on your own insurer to get any damage fixed. Here’s my top tips for ways to save in Sydney……..
Just back from a fantastic holiday in Australia and love it so much this was my third trip there. Spent a week in Sydney which is a stunning city and if you want to take in the sights on a budget here’s some of my top tips. * You’ll need an ‘Opal’ card to get around Sydney on buses, trains and ferries. It’s a free card and you can pick one up from stations and convenience stores. Then just load it up before you travel and tap on and off every time. Sunday travel is ‘capped’ at $2.50 so worth saving your ‘big travel day’ in the city for a Sunday to save money. * Climbing the Sydney Harbour Bridge is an amazing experience and I loved every minute. But it will set you back around £160 a time depending on the exchange rate. So if money’s tight, (or you don’t have a head for heights), take in the views from the Sydney Harbour Bridge Pylon Lookout. Far fewer steps and it costs $15 a time; that’s around £9. Or why not take in the views walking across it at street level? I caught the ferry from Circular Quay to Milsons Point Wharf. Then just a few minutes up the road at the junction of Broughton and Burton Streets you’ll find the bridge stairs. Great walk back to the Rocks area across the bridge and all for free! * Tours and trips can eat into your budget so to learn more about Sydney’s history why not take the free walking tour around the Rocks area. Leaves every night from Cadmans Cottage at 6pm and no need to book; just turn up!